Salt Meadow™ Lamb is exclusively available at D’Artagnan. The young lambs are raised humanely in a stress-free environment, without antibiotics or added hormones on a small farm in Canada. The exceptionally tender and mild lamb is rosy in color and exquisitely flavored. Its delicate texture comes from a unique diet that includes seaweed, based on a traditional method from the coastal regions of Normandy in France.This tender leg of lamb is perfect at the center of any festive gathering. 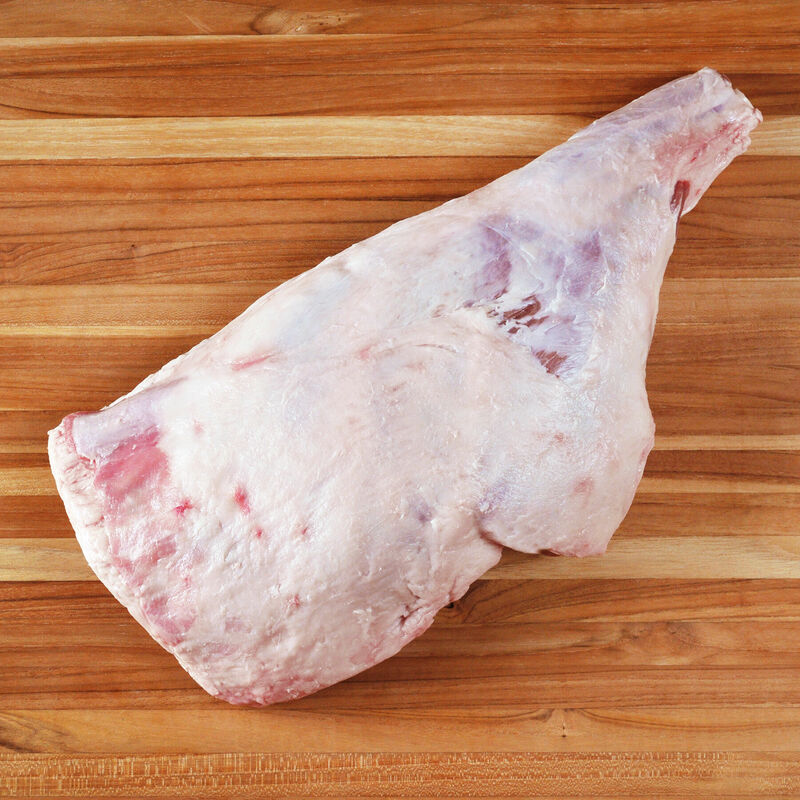 Cooking Tips: Our Salt Meadow leg of lamb makes an outstanding special occasion roast. For neat presentation, easily french the top of the bone and tie the leg into a compact shape with butcher's twine before roasting. Lightly score the fat and if desired, make small slits in the flesh of the leg and stuff with garlic cloves or rub with a paste of herbs or compound butter for seasoning. Always allow lamb roasts to rest for 10-15 minutes before carving against the grain and serving. Our young lambs are raised humanely in Canada at Bergeries du Margot, a 25-year-old farm in the Gaspé Peninsula of Quebec that specializes in producing our exclusive Salt Meadow™ Lamb. The farm raises a unique hybrid of the Île de France, a French sheep breed renowned for its tenderness. After a full 8 weeks on mother’s milk, the lambs are fed a wholesome, grain-based diet supplemented with seaweed from Nova Scotia. The process is inspired by the pre-salé lamb that grazes in the salt marshes of Mont-Saint Michel in Normandy, France. The farm is humanely certified by an independent third-party, and the lambs are provided a stress-free environment. Processed at six months of age, as opposed to a year or more for average lamb, Salt Meadow Lamb is a unique product that reflects a centuries-old tradition.